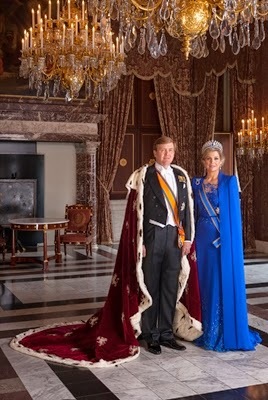 A year ago, the Netherlands got its first king in over a century when Willem-Alexander succeeded his mother Beatrix who abdicated in his favour on April 20th 2014. But while that day was as much about the departure of a queen as the arrival of a king, the first anniversary of his accession is very much his day. King Willem-Alexander has enjoyed a hugely successful year as a monarch, exuding confidence in his new role and scoring massive popularity ratings. But his first year has also been tinged with sadness - just months into his reign he lost his younger brother, Johan Friso, who died in August 2013. Among the happy memories of his first twelve months as king are the heartbreaking days when, as head of his royal house, he had to lead his family and monarchy in mourning for a man with whom he grew up. Is Prince Harry single again? 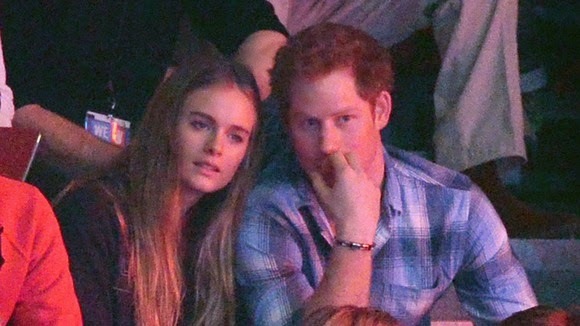 Reports are growing that Prince Harry and Cressida Bonas have ended their releationship after nearly two years together. The Daily Telegraph says that sources have confirmed the couple have split although a reunion isn't ruled out in the same story. Some reports say that Cressida wasn't ready for a royal life while others say the couple had been spending lots of time apart in recent months and realised that things weren't working out. Whatever the reasons, it ends months of speculation that they are about to announce an engagement. On a third wedding anniversary, modern etiquette suggests gifts of crystal or glass. And for Kate of Cambridge who celebrates three years as a royal today, things are crystal clear. As a duchess, she has been a complete success. Three years ago today, Kate Middleton walked down the aisle of Westminster Abbey which is rich with centuries of royal history and entered the history books of the British Monarchy. She entered through the abbey's great doors a commoner and left as a future queen. While the world then remembered the dress, the smiles and the kiss, history will remember the beginning of a royal story that will still be talked about in centuries to come. She has seen several popes inaugurated and been there for several of their funerals. At the weekend, she was there to see two of them become saints. 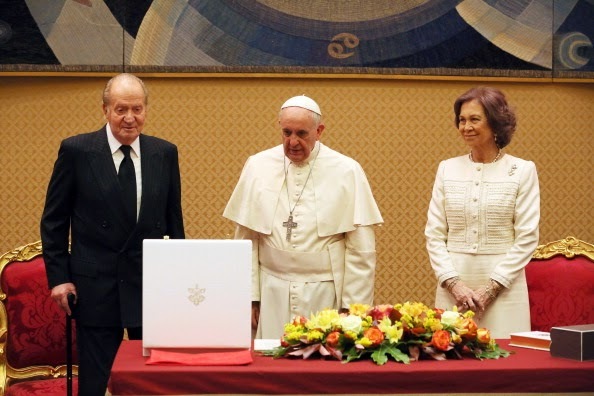 And now Queen Sofia of Spain has met Pope Francis I in a private audience, along with her husband King Juan Carlos. And as she stepped into the Vatican for her meeting with the pope, she became the third queen to attend an audience with Francis I in less than four weeks. There are plenty of already world famous memories from the tour of Australia and New Zealand by the Duke and Duchess of Cambridge but some have really stuck out. And nearly all of them involve Prince George. 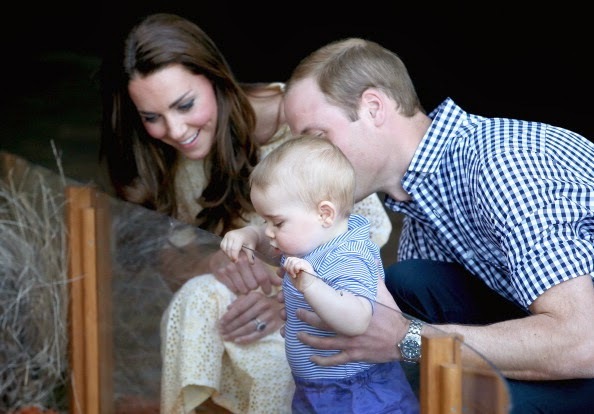 So it was no surprise that his trip to Taronga Zoo in Sydney with his parents topped the recent poll to find the highlight of the Cambridges' tour. Forty four per cent of votes cast were for the meeting with the bilbies in the enclosure named after George to mark his birth in July 2013. Next on the highlights list was the prince's first formal engagement with thirty three per cent selecting that as the stand out moment. Netherlands King Willem-Alexander of the Netherlands spent most of the week at events leading up to the country's first ever King's Day which took place on April 26 2014 and which was attended by the whole royal family. The event, a national holiday, marks the birthday of Willem-Alexander. On April 26th 2014, the king and his family posed for photographs before a trip on a barge decked in orange flowers.